There are some definite hooks and some tangibly exciting good ideas to be found in Dust 514, a free offering on the PlayStation Network that ties into the longstanding EVE Online MMO. The problem is a flawed framework that can be forgiven to some extent, depending on what it is that drew you to the experience in the first place. Now that the game has been out in full for a bit, and both my son and I have played it quite a bit, I wanted to take a closer look at it. 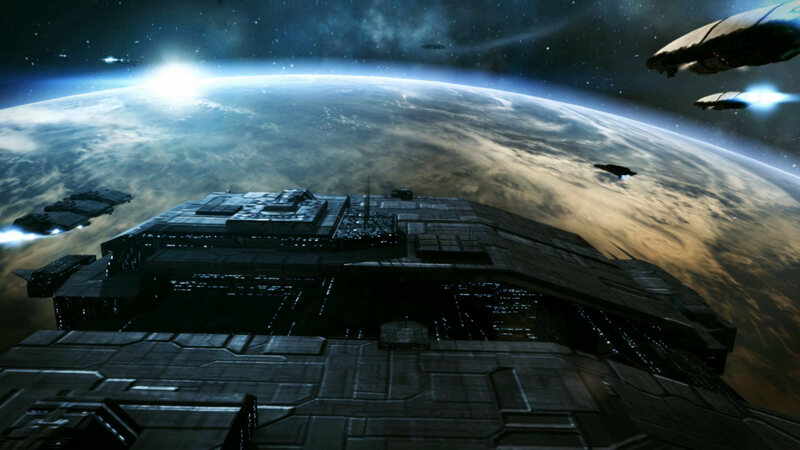 I will begin by stating I have only tried EVE Online a couple of times. 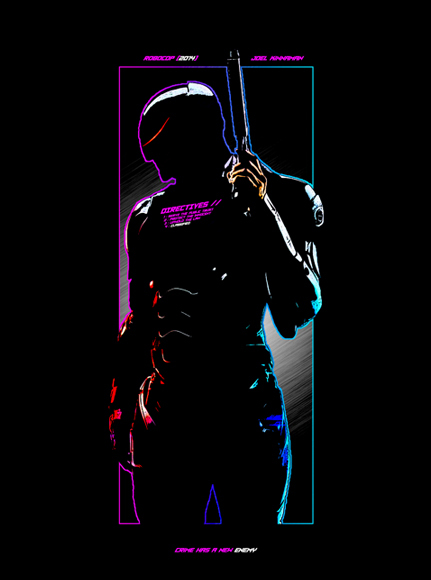 The premise always looks and sounds good, but I just cannot find myself being hooked by the game. 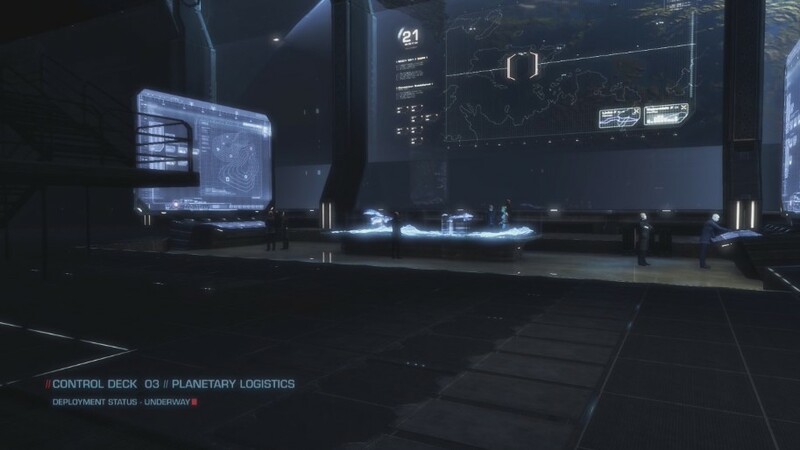 The idea of a companion title, Dust 514, that has tangible tie-ins to the existing universe but wrapped up in a different kind of game is ambitious and exciting, but the final product failed to capture my attention. 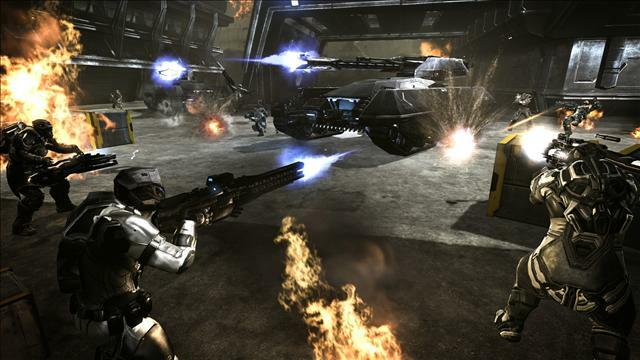 The initial value is there - Dust 514 is a free to play game from the PlayStation Network. To get into it, all you need is some hard drive space and the time to sink into learning it. 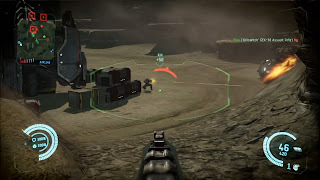 The combat portion is pretty straightforward as it borrows heavily from existing FPS games, but the customization options are where you will spend the majority of your early time. Dust 514 is not an ugly game, and some of the screenshots out there for it actually look pretty good. They are more the exception than the rule though, and when you see it live and in action, the game suddenly comes across as very mediocre. The environments are somewhat bland and character animations that just feel and look stiff much of the time. It is not a bad, or buggy presentation, just not a great one either. It all just comes across as average-at-best. This fares slightly better than the visual presentation, but it still fails to leave a great impression. The firefight sound effects do their job, though they never sound as crisp or feel as immersive when played on my surround sound system as more established AAA titles like Call of Duty or Halo. The music is generally pleasant, if unmemorable. Here is where the wheels fell off for me a bit. 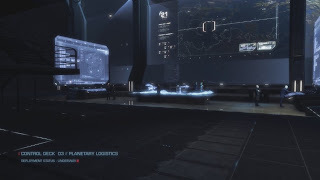 I love the idea of this connected world with lots of customizations for your character, but when all of that said said and done, it is time for some FPS action, and Dust 514 does not hold up. The aiming mechanics feel sloppy more often than not, vehicle control does not feel on par with games like Battlefield, and some standard control options I am used to in games like Call of Duty are lacking here, like being able to go from kneeling to prone. Just something about the gameplay feels loose and uneven, and that is a major problem in a game that in the end boils down to the FPS combat. There are some cool ideas here, and they should be noted. 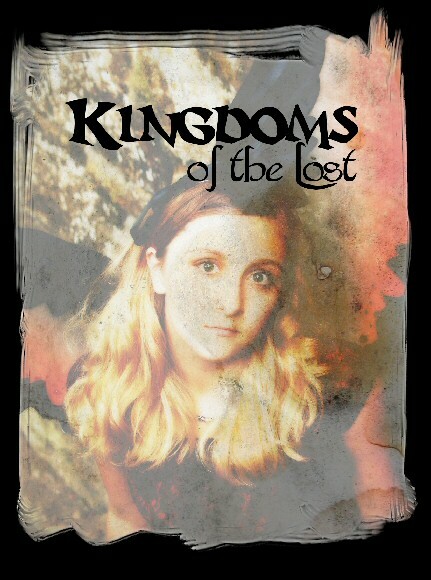 For one, this is a freebie game, but there are microtransactions if you are interested in them. From what I can see, they do not break the game balance, but they do allow you to progress more quickly if you would like. The team balance and the sense of cooperation with your team is quite good. The customization options are deep and actually pretty interesting if you can get past the learning curve. Menus - and there are a lot of them - are actually pretty intuitive once you know what you are looking for. In theory this game ties in with EVE Online, but since I do not play that side of the equation, those connections are mostly 'in theory' for me. The lack of trophy support also has quite a few people a bit riled up. I mentioned my son in the opening paragraph, and the FPS genre is his favorite. He absolutely hated this game. 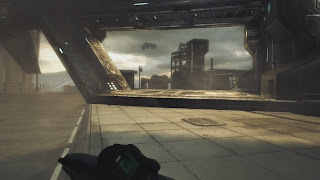 In fairness, the slower pacing and levels of customization are not necessarily aimed at a player like him who favors the quick-twitch, rapid pace gameplay of more popular FPS titles, but he found almost nothing to redeem Dust 514 in his opinion either. There are some interesting ideas at work here, and perhaps a framework that can be improved upon later. 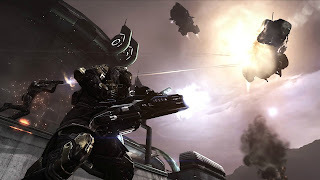 That the title is free to play certainly makes Dust 514 a better value, but if you are looking for a FPS, there are certainly far better ones on the market. If you are looking for a game with RPG elements, there are plenty of those out there as well. 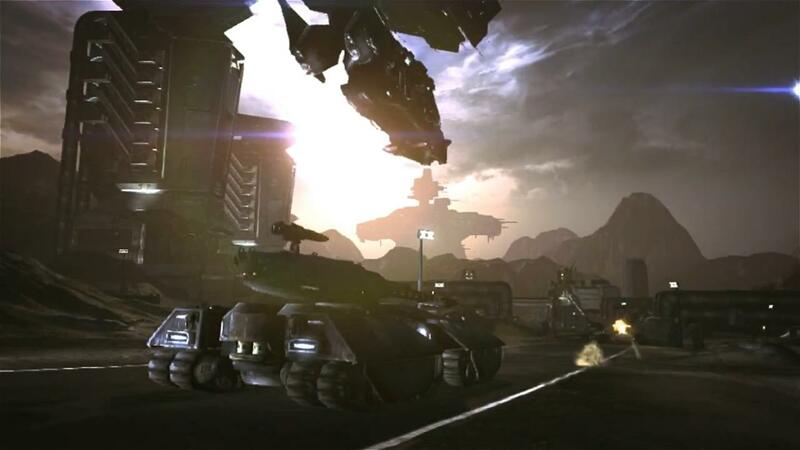 Dust 514 has its heart in the right place I think, but it just does not execute well on its promise. This makes it hard to recommend to all but the most devoted of EVE universe fans.